Cee’s Odd Ball Photo Challenge: Week 25 — please click the link to find out more about this challenge. Now that is odd. great shot. 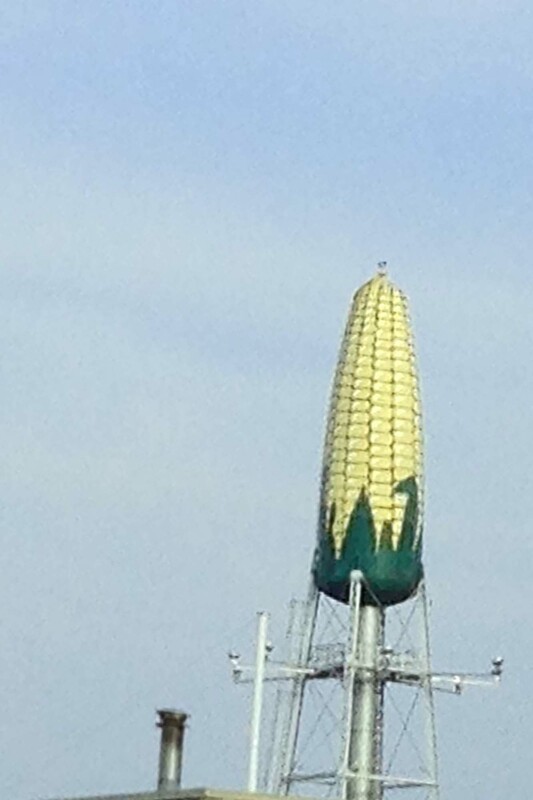 I’ve seen LP gas tanks painted like an ear of corn but this is a first for a water tower! Excellent find! good morning, Helen. How different 🙂 Have a great day!